Aside from Halloween, music festival season is my second favorite time of the year. I love seeing everyone's creative makeup and fashion looks. With Coachella being right around the corner this weekend, I wanted to share my tips on how to style music festival outfits. 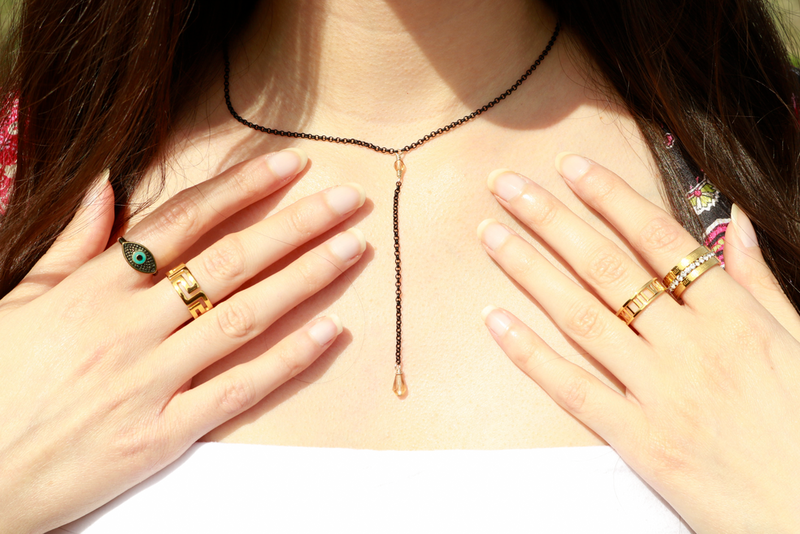 Of course, the first rule of styling Coachella outfits is layering on jewelry. Seriously, it's almost impossible to overdo it. Accessorizing will give your look the extra flair it needs to go from casual to Coachella. Speaking of festival flair, I found this adjustable black sun hat at Target that I'm convinced was made for Coachella because it goes well with every outfit and protects your face from the sun! If you burn easily like me, this hat is going to be a game changer for you. Trust me, you need it in your life. Spoiler alert: You're going to see the hat in multiple looks, so get ready. 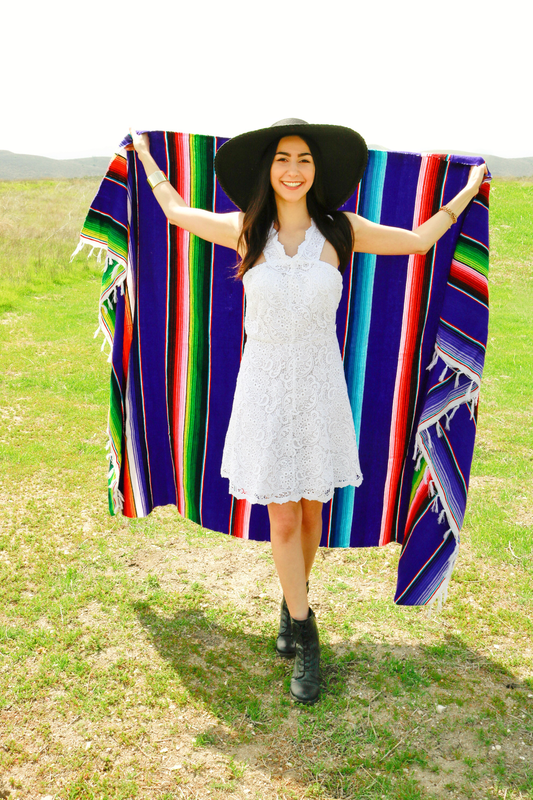 If you want a closer look at the outfits and accessories, check out my Coachella lookbook above. I also listed all the brands my outfits are from in the video. Since a lot of my pieces are from several years ago, I've linked similar outfits in this post so you can shop the looks. TOP: A white tube top tucked into your pants help accentuate your legs and make them look longer. To prevent those folds in the fabric around the stomach, wearing a bodysuit would be a perfect alternative. Make sure to lather and reapply sunscreen on your shoulders and arms as needed since they will be exposed to the desert sun and more susceptible to burning. BOTTOM: Flared floral pants are a Coachella classic. I'm sure you've all seen the iconic picture of Kendall Jenner wearing black and white bell bottoms at Coachella 2014. Well, the '70s called and they want to let you know this trend is here to stay. SHOES: These white holographic platform shoes compliment my white top and add to the fun Coachella vibe. Even though I have long legs, these pants drag on the floor for me unless I pair them with some sort of heels. I don't know about you, but I'm not into dragging my pants across dirt and ruining them, so I'll take style over comfort. ACCESSORIES: Don't be afraid to mix different colors when it comes to jewelry, especially since the pants have a vintage rainbow color scheme! For a modern take on the '70s look, I wore a brown and gold beaded wrap bracelet, gold cuff bracelet, and black Y-drop necklace. I also had on all my rings I showed above. TOP: For maximum style and comfort, here's how to swap out a few pieces from the first look while keeping the white tube top the same. Layering a colorful kimono over a solid color top shifts the focal point of the look to the kimono and protects your shoulders from sunburn. You could also wear a bathing suit or dress instead of a top. To keep the look cohesive, choose solid colors that are complementary to your kimono. P.S. This kimono is a DIY. Yes, I made it myself! In fact, I've made four. Click here to watch my DIY Kimono video and learn how to make your own. BOTTOM: To bring out the black in the paisley pattern, I opted for black denim shorts. Personally, I love having pockets to put my phone in, so opting for shorts over a dress is the way to go for me. SHOES: Black combat boots have been my go-to shoe for several years because they are stylish, comfortable, and durable, making them a Coachella outfit essential to give your look that extra edge. ACCESSORIES: Since the pattern on the kimono is already a bold statement piece, I kept the jewelry simple by taking off the bracelets and keeping the rest the same. DRESS: You can't go wrong with a classic white lace dress. The A-line cut creates a cute look and ensures comfort since it's not hugging your bound-to-be-sweaty body. You could also pair it with a denim jacket to keep you warm at night. SHOES: To keep the look more stylish, I wore my black combat boots. You could wear sneakers instead if boots aren't your thing. White Converse would be the perfect alternative. ACCESSORIES: I'm telling you, this sun hat goes well with every look! Black, white, and gold is my favorite color scheme, so I completed the look with a gold cuff and two gold chain bracelets, one of which has a black bar in the center and the other which has a white bar. You can get a better look at them in my lookbook video above. DRESS: With the bell sleeves, side cut-outs, and flowy bottom, this blue tie-dye bohemian dress has maximum airflow and will keep you cool at a festival, especially if there's wind. However, the skirt part will flip in windy conditions, so make sure to wear spandex shorts underneath. SHOES: My combat boots and I are inseparable, okay? I just had to keep them on for this look. Like the previous outfit, you could wear sneakers instead for a more casual look. ACCESSORIES: It's all about the turquoise! When I think about bohemian jewelry, I immediately think of turquoise, which is perfect because it matches this dress so well. Look for pieces with charms and silver accents. I wore a turquoise and silver necklace, blue evil eye beaded charm bracelet, turquoise hand chain, and blue evil eye ring, which are shown in my lookbook. DRESS: A red, floral sundress will give you a pop of color for a fun, playful look that requires minimal effort. Plus, this stretchy cotton material is super comfy and lets your skin breathe while dancing in the desert heat. SHOES: Time to bust out the white Converse! I love how the shoes match the white floral detailing on the dress. Chances are white shoes are going to get covered with dust at Coachella, so I recommend to either wear old shoes you don't care about or buy a cheap pair of white sneakers. Otherwise, these shoes are great for Coachella house parties and events like Revolve Festival. ACCESSORIES: For this look, I kept it simple with a dainty rose gold starburst bracelet and gold chain bracelet with the black bar. I also had to bring back the sun hat because, I mean, it's perfect. Now that you have ideas about what to wear to Coachella, which music festival outfit or trend is your favorite style? Let me know in the comments!